Price list 2018 of Samsung RT28FAJYASA/TL Refrigerator is listed here. 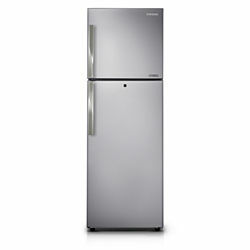 Samsung Fridge Prices includes latest price of this model of Refrigerator with latest features. Lowest Prices are listed here for you to buy online latest Samsung Refrigerator at cheap rate. Features of this Fridge are Frost Free, Digital Inverter Compressor, 5 Star Rating Moist Fresh Zone, Easy Slide Out, LED Light, Chilled Room, Glass Shelf.